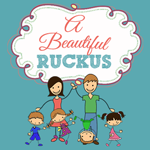 When you name your child, you may have a nickname in mind for him or her. I have an example. 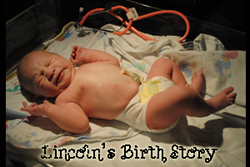 We thought for sure when we chose "Lincoln" for our little man that he would primarily be called Link. That turned out to be pretty much one hundred percent false. I don't know why we never adapted to calling him Link. We did call him "Blinkin" a lot. Don't ask me why. When he finally started talking, he dubbed himself "Inky." Now, if you try to tell him his name is Link or Lincoln, he says "No! I'm Inky!" 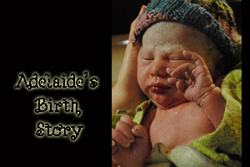 Adelaide, on the other hand, does primarily go by her nickname - Addie. I love her full name because it has an old-time romantic flair, but Adelaide is a pretty big mouthful for a toddler to learn to pronounce. When she says her full name, it sounds like "Addie-lay" and it is precious. But we usually just call her Addie, or sometimes Addie Rose. Lincoln, apparently determined to be the one who chooses the names in this family, a few months ago started referring to his sister as "Ad." I thought it was random and hilarious. I didn't encourage or discourage it - and guess what happened? Somehow it became a habit and we all call her that now. 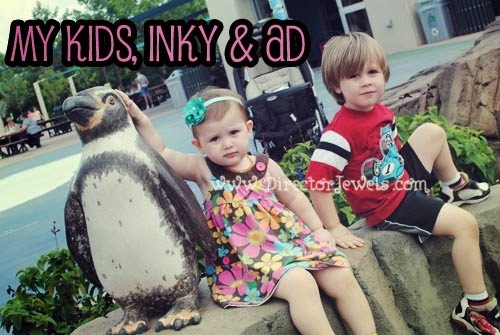 So I'm the mom who is at the park shouting, "Inky! Ad! Let's go on the swings and then down the slide!" and people probably think I'm a psychopath when it comes to naming children. Oh well. I used to hate being called Jewels, and look where that ended up - it's splashed up there in the title of my blog. Sometimes, things are just meant to be. Do your kids have weird nicknames or do you maintain more normalcy than my family?